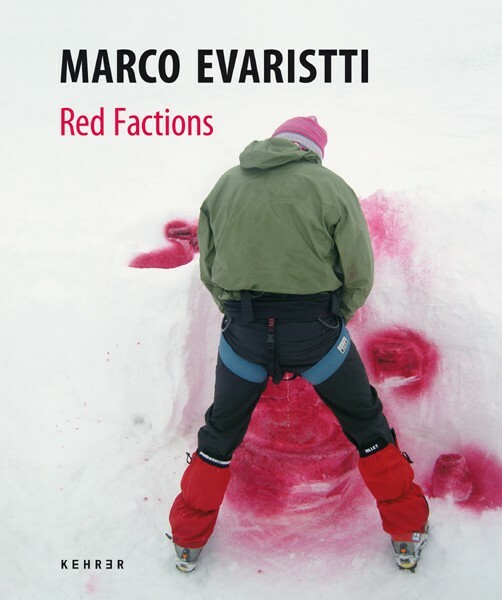 Marco Evaristti (*1963), enfant terrible of the Danish art scene, is a risktaker who likes to place himself and the viewer in extremely dangerous reallife situations as part of his artworks. His art calls into question political methods and claims, taking up themes such as territorial power, pollution, possessiveness, and judgments over life and death. In 2004 he braved minus 23-degree temperatures to pour some 3,000 liters of red paint over an iceberg floating near Greenland, officially under Danish sovereignty, declaring: "This is my iceberg." The stunt sparked a heated debate on the limits of art, the pollution caused by the paint, and the seeming meaninglessness of the act. Next came The Mont Rouge Project in June 2007, for which the artist dyed areas of Mont Blanc red. In January 2008, Evaristti completed the trilogy in the desert of Sahara. This book is being published to accompany the world premiere of the presentation of Evaristti's trilogy on the subject of territory at Kunsthalle Krems.